From October 13-16, Let’s Talk Coffee® will hold its 13th gathering, bringing together roasters, producers, financiers, and other stakeholders throughout the specialty-coffee supply chain in Puerto Vallarta, Mexico. Leading up to the event, we’re profiling some of the people and elements that make Let’s Talk Coffee® a unique, must-attend event. Head here for more info and to register today! If you’ve ever met Fabrizio Sención Ramírez, there’s a good chance you remember his trademark mustache that flairs handlebars at its ends. His look may be memorable, but his accomplishments are what have truly made him stand out in the specialty-coffee world. In addition to being a multi-time winner of the Mexico Barista Championship and the second-place finisher at the the 2012 World Barista Championship, Fabrizio is the owner of Guadalajara’s Cafe Sublime and the Cafe Estelar roasted brand. 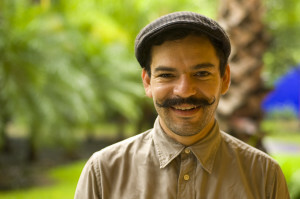 This expert on Mexico’s specialty-coffee scene will play an important role in our Let’s Talk Coffee® Mexico program, exploring his nation’s emerging coffee culture. We spoke to Fabrizio about his history of attending Let’s Talk Coffee®, his feelings on coffee in Mexico, and much more. Q: How many Let’s Talk Coffee® events have you been to? A: This year will be my fifth. I started with Nicaragua in 2009, where we went to Selva Negra and a group of us baristas competed in the Seed to Cup Challenge. We lived on the finca—sleeping in the same rooms as producers, eating the same food, harvesting ripe cherries, and planting seedlings. It was a very interesting experience. I remember waking up at five in the morning to work in such a beautiful environment. After that one I attended Peru in 2010, Colombia in 2012, and El Salvador in 2013. They’ve all been amazing experiences. Q: Why do you think LTC is worth attending? A: It’s the most complete coffee event I’ve attended. Although it’s hosted at origin, it features people from different parts of the planet and has topics that concern baristas, roasters, and everyone in coffee. I remember having many conversations with farmers and co-op leaders, both formal and informal. I’ve had amazing coffees on the cupping tables at Let’s Talk Coffee® and cupped them with the world’s top cuppers. I’ve also learned so much at the event. For example, I learned about Roya and how producers adapt to changes that disease brings to their farms. The LTC in Peru really opened the spectrum for me: There were many opportunities to see production and a lot of eco-sustainability that I didn’t know existed before. The idea of bird-friendly was completely new for me. 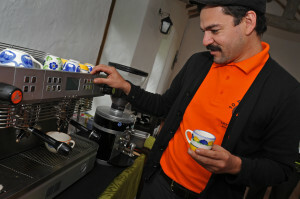 Q: Are you excited that Mexico is hosting this year’s Let’s Talk Coffee®? 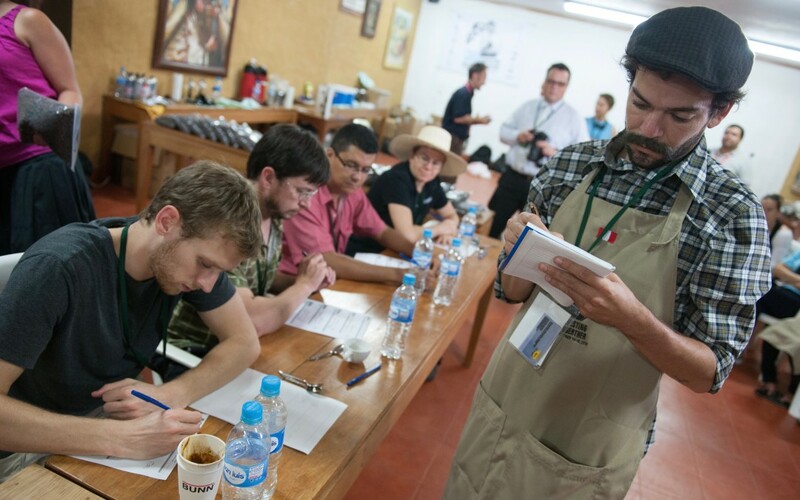 Do you see Mexico as an emerging market in specialty coffee? A: Very excited, and Mexico is a great place to host it because of the coffee scene here. It’s absolutely true that it’s growing—10 or 15 years ago, coffee was only for those of a certain age. 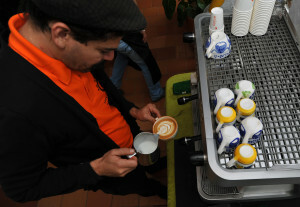 Now, our main market is made up of young people who drink more coffee and care about the final product. It is an emerging market and we must educate consumers about what they’re drinking. In Mexico, we have fresh products for most of the year. I would love to have coffee from around the world, but given import restrictions, we make do with what we have, which is plenty: We feature 16 different coffees at Sublime. The different climate conditions and many varieties make for a diverse spectrum of flavors from south to north. I’m excited for all the people who come to Mexico for Let’s Talk Coffee® 2016 to taste our amazing coffees here. If you want to connect with and hear from Fabrizio and other leaders in specialty coffee, join us at Let’s Talk Coffee® Mexico! Registration is now open.